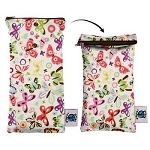 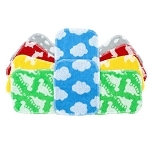 20% off nappies, wraps and accessories until Monday 7th Dec ( excludes sale items), also 20% off toys, 25% off Frugi and 35% off Maxomorra Cloth wipes are better for baby, easy to use, reduce waste and save money. 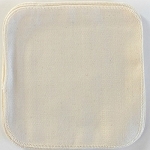 When using cloth wipes you choose what you put on your babies delicate skin for young babies you can use cooled boiled water, for older babies there are lotions that are handy to use when out and about or you can make your own solution either from a already made product or one you make your self and either put in a container and soak your wipes so they are like ready to use wet wipes or you can keep wipes dry and put the solution in a spray bottle. 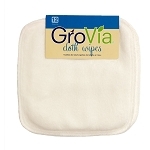 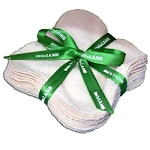 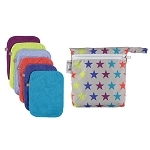 It is a good idea to have seperate wipes for bottom and hands and faces - we kept bamboo wipes in the kitchen to wipes hands and faces after mealtimes. 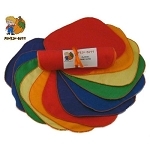 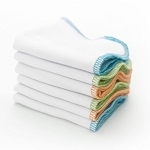 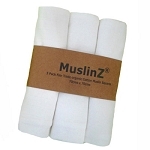 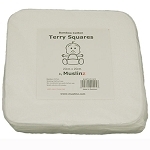 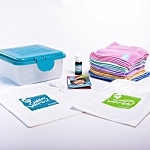 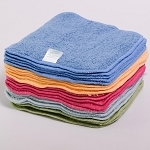 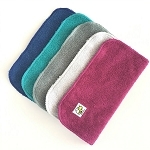 Cloth wipes like nappies are available in several fabrics bamboo stays soft, terry is good for cleaning messy poos.